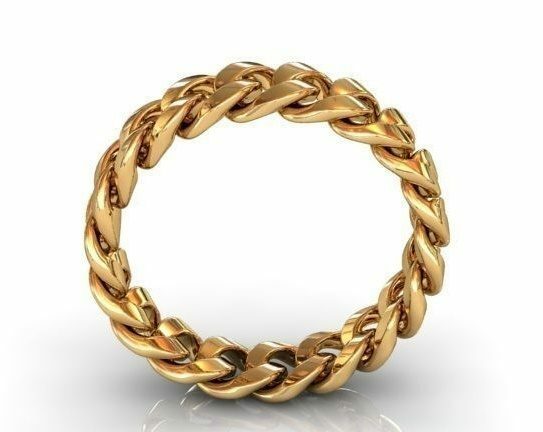 Looking for a Cuban Link Wedding Ring? Valeria Fine Jewelry is able to create almost any wedding ring that you can dream up…Don’t settle for a ring that everyone else has. 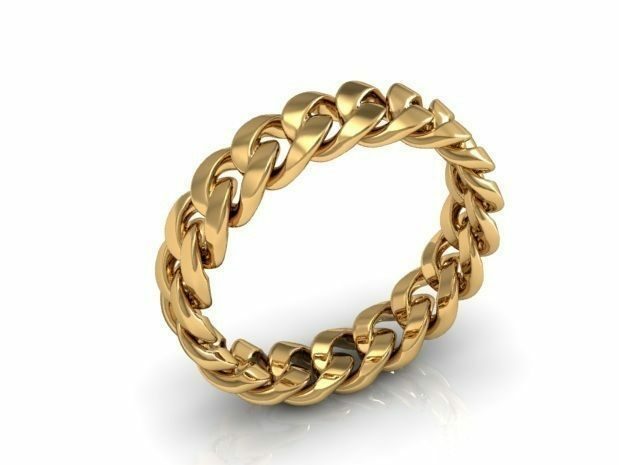 Stand out from the crowd with our Cuban Link Wedding Ring! This one has been made out Cuban Links and is 5mm wide. It probably could be made 4mm wide, but the wider it is, the better it will look. It looks best at 6-8mm. METAL OPTIONS: Bronze, Copper, Sterling Silver, Palladium Silver, Rose Gold, Yellow Gold, White Gold, Palladium, and Platinum. If you would like to see another Custom Wedding Ring style, click HERE. Click HERE to learn more about custom jewelry, to see our portfolio, or to contact us about a Cuban Link Wedding Ring. It can cost less than you think to have your very own custom wedding ring made just for you. Why hassle with the retail stores for boring and overpriced wedding bands? And as always, if you have an idea for a custom Cuban Link Wedding Ring but can’t find what you want, please contact us.